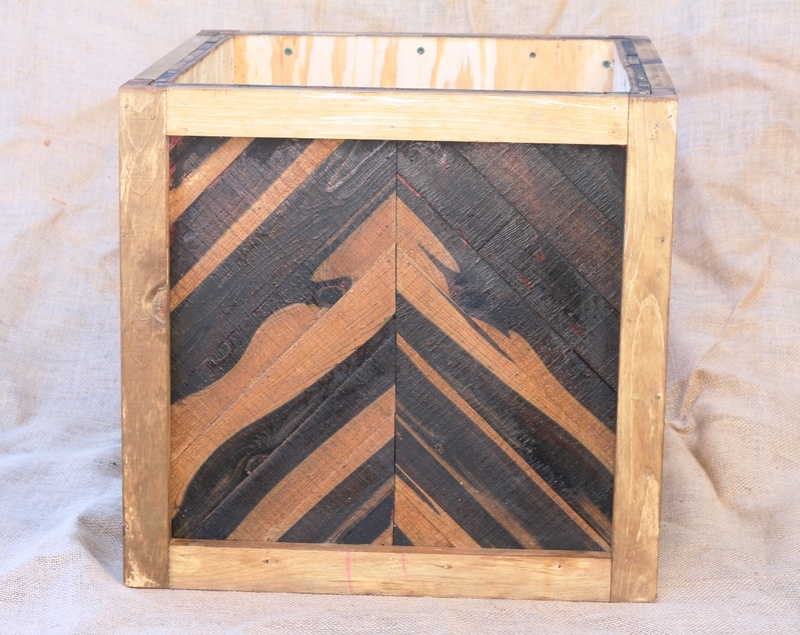 Bring the beauty of the outdoors inside, and enjoy it with this stunning 20 inch chevron wood planter. Made of cedar for long wear life, the sides boast a clear chevron pattern that can be stained in a variety of colors. As a planter, it hosts a variety of smaller trees, topiary or interesting garden plants. Built to last, this beautiful planter box can serve in other capacities, and it is the preferred accessory for many home décor styles.